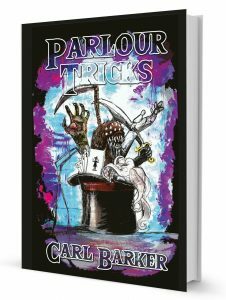 As of this week, you’ll now be able to download a copy of Parlour Tricks on your kindle or equivalent device, meaning you can scare yourself silly for les than three quid without even leaving the comfort of your armchair, bed or wherever it is you tend to do your reading. If you’re wanting to get your copy delivered in short order, I’d recommend ordering direct from David @ Parallel Universe as, being the publisher, he’s carrying a greater stock and you’re less likely to have to wait for a printing. The Autumn edition of The Colored Lens is now available to download from Amazon, and features my SF story, “神の狩人 (Kami No Kariudo)“. 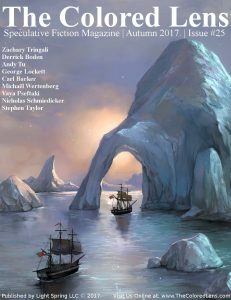 Those of you familiar with my work will know that sci-fi is an arena I don’t stray into too often, so it’s always gratifiying to see one of these pieces get published. Just heard that my short story, “神の狩人 (Kami No Kariudo)“, has been accepted by The Colored Lens for publication in their Fall issue. For those of you who don’t read Japanese (or use Google Translate), you’ll just have to wait and see what this one’s about in a couple of months time. As always more details to come, nearer the time. Huge thanks to Megan Manson for all her help with correcting my Japanese on this one. 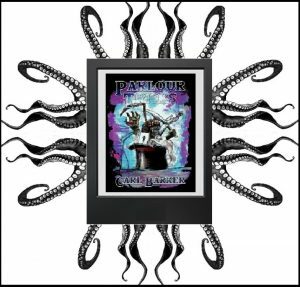 The awesome image is by Luke Spooner and you can find more of his fantastic work over at his website – Carrion House . The book is now on its way to the printers and will be released at some point during August, initially as a hardcover version, retailing at £20. I’ll add tons more details here and on the publications tab as we get nearer to launch date. 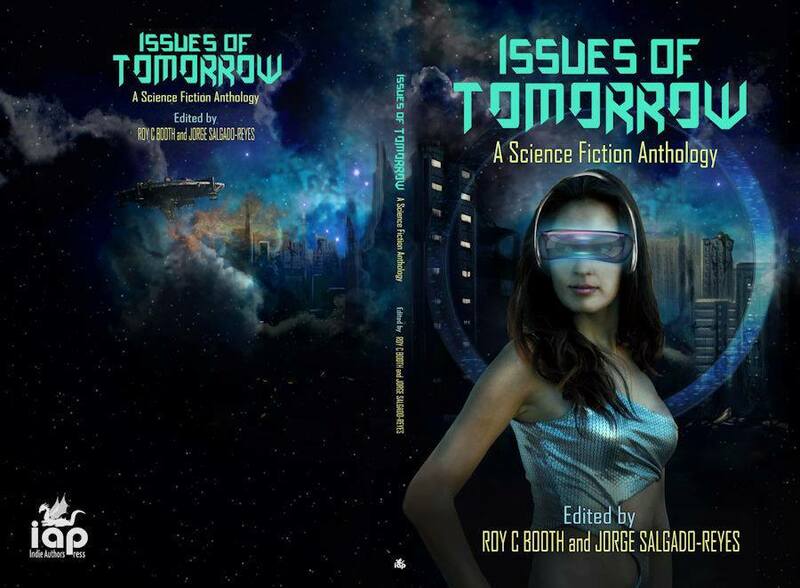 Those awesome chaps over at Indie Authors Press have recently revealed the below draft cover for their upcoming sci-fi anthology, Issues of Tomorrow, which features my short story ‘Broken Machines‘. 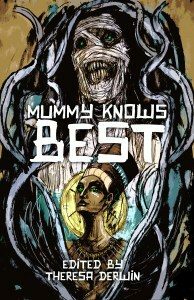 Due out in the latter half of this year, the anthology is currently slated for a July/August release window. Of course if this changes, I’ll post another update then. In the meantime, enjoy the suitably dark and moody artwork. 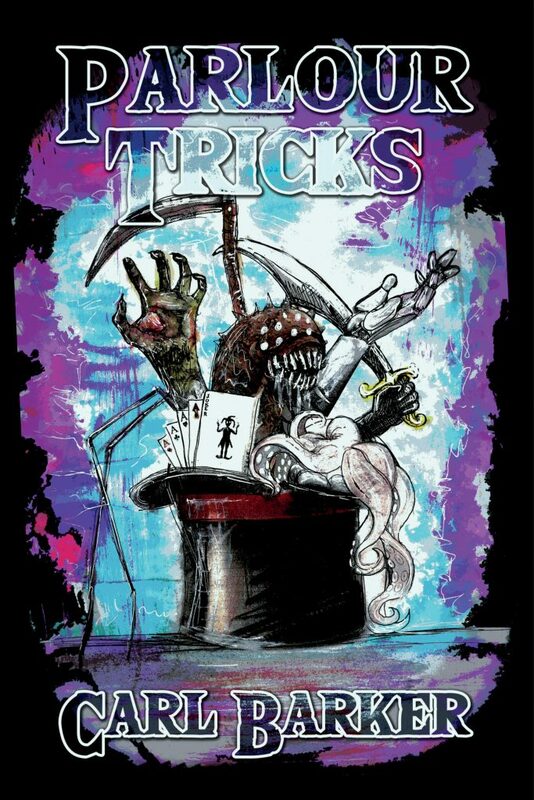 As the cat is now unofficially out of the bag from Parallel Universe Publications via social media, I can now reveal that the title of my forthcoming 2017 story collection will be Parlour Tricks. BIG NEWS on the acceptance front this month, with the confirmation that my debut short story collection will be published by Parallel Universe Publications at some point in early 2017. Other than a vague hint given by the title of this post, I’m not going to give you any further clues as to the book’s title for now, but suffice to say its contents are drawn from the last few years of my work and will also contain a number of new pieces as well. The final edit is being worked on at the moment, after which there’s the possiblity of a cover being created by an award-winning artist too, so as you can imagine I’m currently pretty stoked.